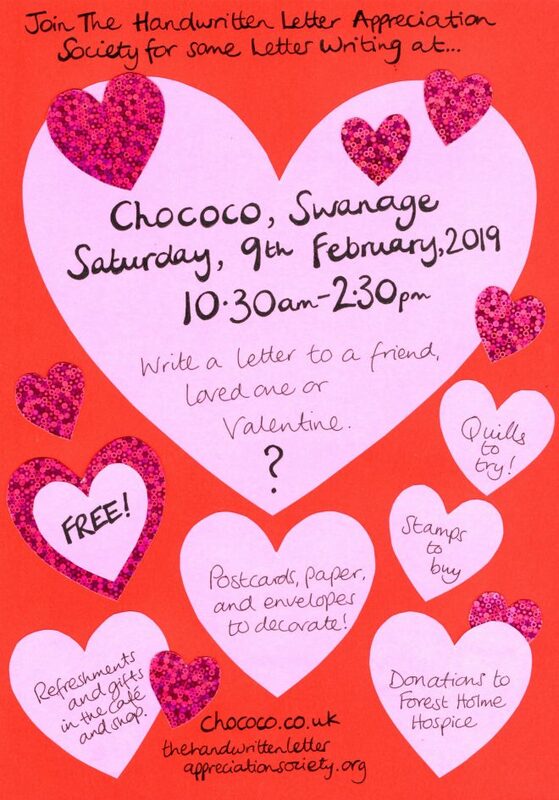 Come and join us at Chococo, award winning Chocolatiers, in Swanage on Saturday 9th February between 10.30am and 2.30pm, to write letters to loved-ones, Valentine’s and those special someones. There will be quills to play with, English Stamp Company stampers to decorate envelopes, together with colouring pens and stickers. We’re out to spread the love via handwritten letters. Bring loved ones with you too if you’d like to – it doesn’t have to be a secret. The beautiful shop and café will be open for delicious refreshments and wonderful gifts to make Valentine’s extra special. 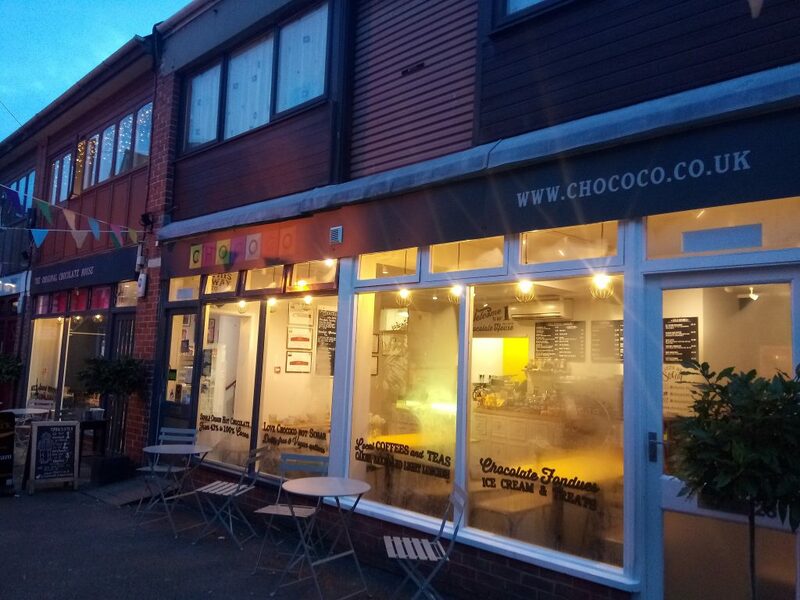 Find Chococo Swanage at Commercial Road, Swanage, Dorset, BH19 1DF. 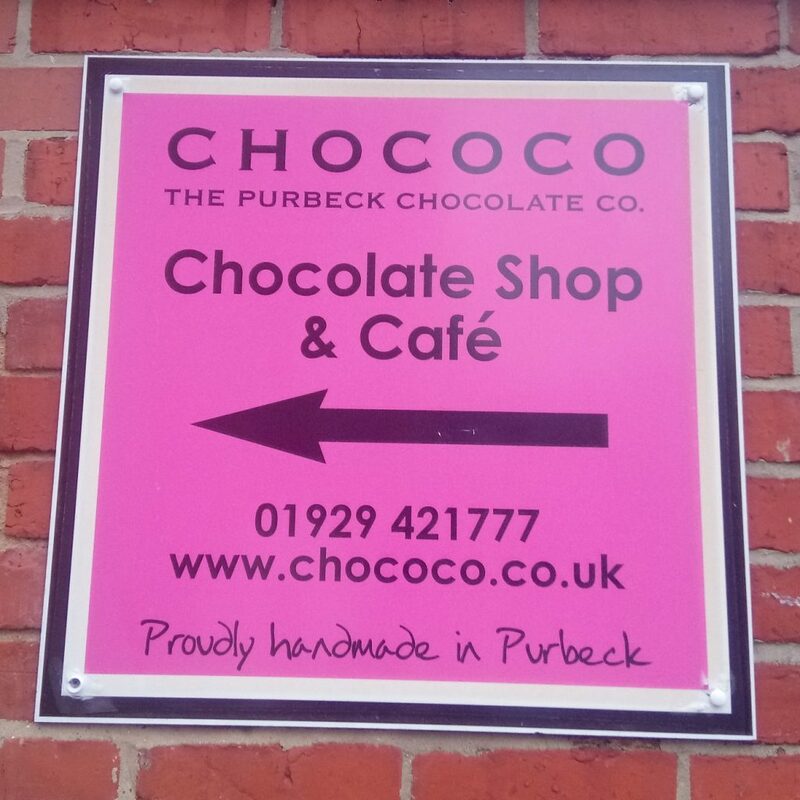 Follow the link HERE to their website and range of outstanding chocolates.